A curious crab looks at the opening of a vermetid worm shell. 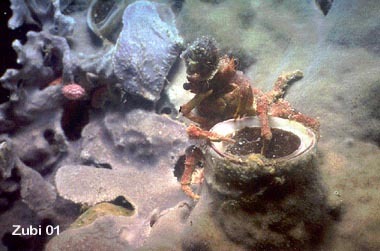 This crab looks like this from close up (taken on a night dive). 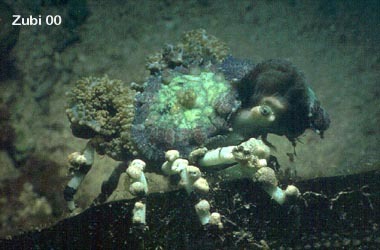 The tubercle crab carries on its back and legs small anemones or tunicates (symbiosis). I like this crab, because it looks as if it had a tuft of hairs on his head! Look at this photo of a crab without its covering.